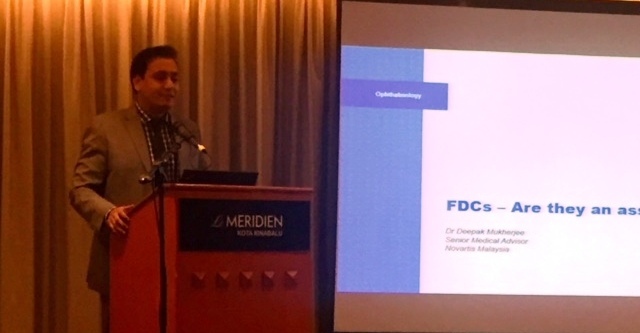 Alcon/Novartis organized a talk by their Medical Advisor, Dr Deepak Mukherjee, titled:"Glaucoma management: Past, present and future" at Hotel Le Meridien, Kota Kinabalu on the 9th of November, 2017. 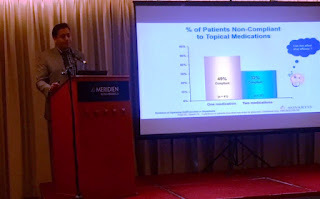 The talk consisted of 2 parts: the first, dealing more with fixed dose combinations, but covering a large part of the medical management of glaucoma. 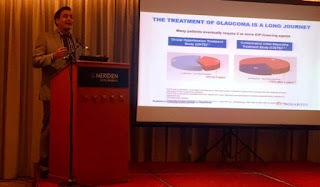 While the second part of the talk focused on how to choose the appropriate drugs for the treatment of glaucoma. Dr Deepak highlighted the various studies and how they can guide us in deciding the first, second, third and fourth line of treatment, if required. 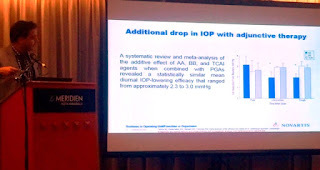 According to him prostaglandin analogues (PGAs) form the first choice of medications as they produce the maximum percentage of intra-ocular pressure lowering. 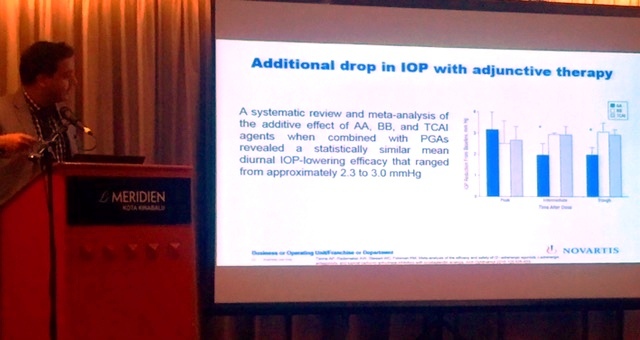 Beta blockers can be used as second line since they are usually combined with PGAs in fixed dose combinations. Alpha analogues are more efficacious than carbonic anhydrase inhibitors (CAIs) and so they are the third choice, while CAIs are probably the last option. The talk was followed by a dinner. Thanks for the post. 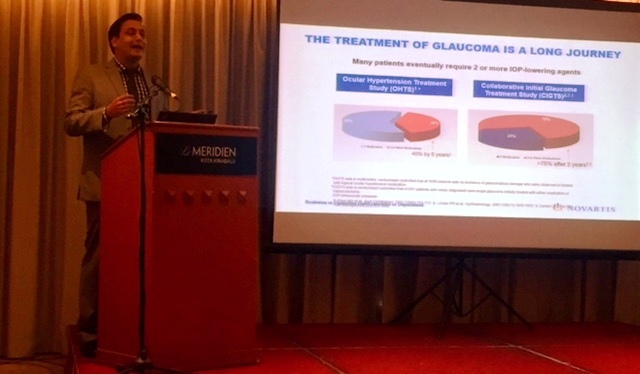 Glaucoma management is very necessary to save the vision. SO DentalSave provides Vision plans for glaucoma patient so that they can consult their eye specialist too frequently and get cured.